John Pistole, the President of Anderson University, is rumored to be among the potential replacements for fired FBI Director James Comey. Anderson University is a Christian liberal arts university located in Anderson, Indiana. Pistole has served as its President since 2015. Pistole had a long and well-respected career in the FBI, starting in 1983. Following the attacks on 9/11, he was given the duty of running the FBI’s counter terrorism program. From 2004 to 2010, he served as Deputy FBI Director, the Bureau’s second highest-ranking position. In the Spring of 2010, Pistole was unanimously confirmed by the United States Senate as TSA Director. While his TSA experience may seem controversial, Pistole was widely praised for his dedication to preserving civil liberties while also protecting our nation’s security. After his retirement from government work, it would have made sense for Pistole to go into the private sector and enjoy the rest of his life making large sums of money. That was not the route he chose. Following his retirement, he accepted an offer to become the President of his alma mater, Anderson University, a Christian liberal arts college in Anderson, Indiana. Under Pistole’s leadership, Anderson has added several new national security and law enforcement majors. His commitment to further enhancing the next generation of national security professionals’ ability to learn while enriching their faith shows his leadership and compassion. Since the announcement of Comey’s termination was announced by the White House, several names have been circulated as possible replacements. However, most of the potential replacements are highly flawed. Chris Christie is seen as too controversial, while Rudy Giuliani has been criticized for his conflicts of interest and being too political. Another potential candidate, Trey Gowdy, has become a political punching bad for the left due to his handling of the Benghazi investigation. Out of all the names being currently discussed, Pistole is by far the least controversial and most qualified. Following the tumultuous tenure the FBI has faced under Director Comey (who, ironically, was the keynote speaker at Pistole’s inauguration at Anderson), the Administration should be overjoyed at their ability to replace him with a man with the integrity and leadership of John Pistole. With his career in the FBI, having already been confirmed unanimously by the Senate, and being out of the political limelight, Pistole would have the easiest path to confirmation of any candidate. Respect, compassion, fairness, accountability, and leadership are all words that describe the FBI’s core values. It is crucially important that the nation’s top law enforcement agency reflects the values of its citizens, and that is why strong leadership is needed at the Bureau. Ensuring that the next director has these characteristics is a critically important test for the Trump Administration. At a time when questions about Russia are swirling, hiring a campaign ally would be a crucial mistake. The next FBI Director should be an independent-minded, career professional, with a thorough background of respecting the law. 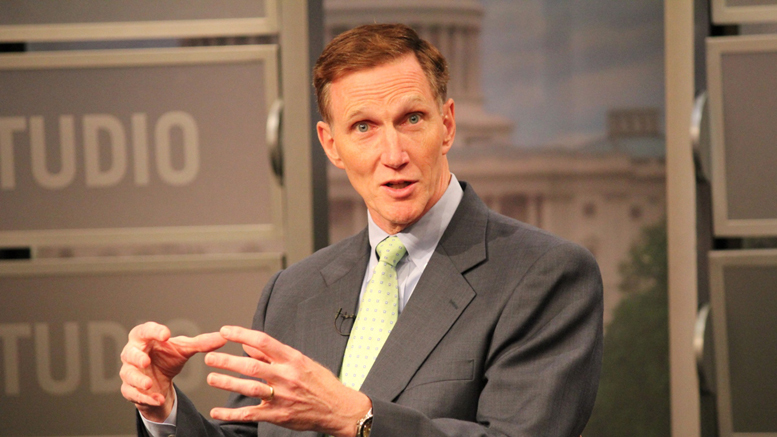 John Pistole’s dedication to justice, his country, and his faith make him the ideal choice. Jonathan is the Public Relations Director for Conservatives For Environmental Reform. He also serves as the Executive Secretary for the Davie County Republican Party.